A good pair of sunglasses is all you need to create your own style statement. Most importantly, sunglasses are essential when it comes to protecting your eyes. They’re the ultimate shield to protect your eyes from the harmful UV rays and dust particles. 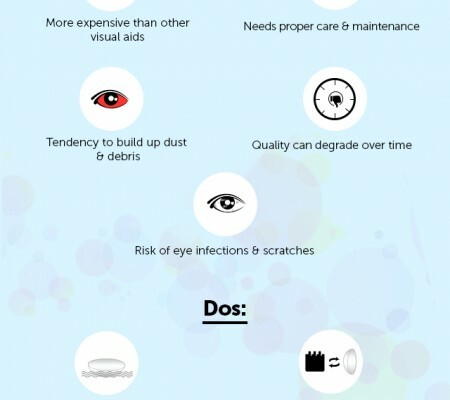 Here are some points to keep in mind while shopping for sunglasses. A must have accessory, a pair of sunglasses, plays a vital part in making an impressive style statement. But if your idea of shopping for sunglasses is to just try it on and glance at the mirror..well, you’re doing it wrong. The basic purpose of a pair of sunglasses is to shield your eyes from the UV rays. Don’t be in the dark when it comes to choosing the right pair of sunglasses. There are four important steps to follow when it comes to picking out a good pair of sunglasses. Let’s have a look at these steps. UV protection in sunglasses is very important. A really good quality pair of sunglasses blocks 99 to 100% harmful UV rays. This will prevent your eyes from developing UV related ailments. There are two types of UV rays, UVA and UVB, which can have adversely effects our eyes. The UVB and the UVA rays can cause cataracts, photokeratisis and even cancer. Always look out for sunglasses which have at least 99% UV protection. It is not advisable to buy sunglasses which do have any information on UV protection. As sunlight reflecting off snow, water and sand can be dangerous, protecting your eyes from brightness is also a factor to consider. 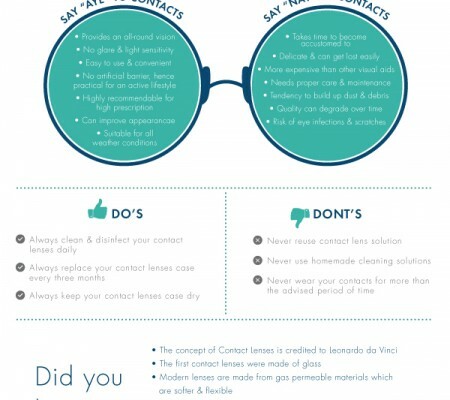 Another crucial factor to consider is the durability of lenses and frames. High quality shades are made with state-of-the-art technology and materials. Although expensive, a pair of superior quality sunglasses is always the better option. There are quite a number of different materials used in making lenses and frames of sunglasses. These materials affect their durability, weight and cost. Some of the popular lens materials are glasses, polycarbonate and acrylic. You can simply choose a lens in accordance to the kind of lifestyle you lead. For an active person, polycarbonate lenses are recommended as they are impact resistant and light in weight. 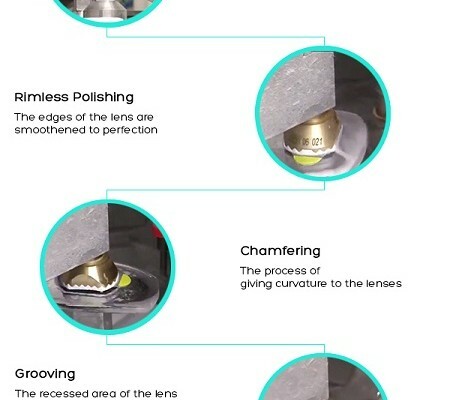 Lenses made of glasses have superior clarity. However, they are not durable. Acrylic lens are cheap. However, they are also not found to be durable. Choosing the right frame material is also important. The frame contributes to the comfort factor, a very essential aspect for a pair of sunglasses. Metal frames are not meant for sporting activities. But they’re suitable for fashion eyewear. Durable, lightweight and also impact resistant, nylon frames are the best for performance eyewear. Acetate frames are said to be the best for daily use. More durable than the usual plastic frames, these frames are also light in weight. One of the factors that you can’t simply avoid is optical clarity. Visible Light Transmission (VLT) is the amount of light that penetrates through the lenses. VLT is affected by the thickness, tint and coatings of the lens. The colours and coatings of the lenses of sunglasses can cut down brightness and glare, and thus enhance your vision. The more expensive the sunglasses are, the more coatings they will have. This includes anti-glare, anti-fog, anti-scratch and water repellant coatings, all of which help enhance visual clarity. Always choose a pair of sunglasses that fits perfectly. Sunglasses come in all shapes and sizes. So it is advisable to look for a contrast between your face shape and the frame shape. For instance, a round shape face should choose a frame that is square or rectangle in shape. Sunglasses should accentuate the best features of your faces. So always pick one that will match your face shape. With these steps in mind, you are ready to choose a good pair of sunglasses. Select one that will provide protection, comfort and durability. It is a good investment to get a good pair of sunglasses, as they are made with the best technology and high quality materials. Be smart, wise and chic when it comes to picking a good pair of sunnies.